When designing your footprints, it’s critical that the size of the plated-thru-holes and their associated pads be sized correctly. Making these the correct size will help make sure there are no issues assembling your PCB’s. After all, you’ve likely spent many thousands of dollars to get this done and the delays that might be introduced by something as simple as a bad hole size can be a real bummer. There are 4 steps to designing your PTH correctly. The IPC organization suggests three different density levels in your design process. This is an easy one. Take a look at the datasheet for the part you’re using and find the diameter of the lead. If the lead is rectangular, then use the dimension from the two opposite corners. IPC suggests that you can take the lead diameter, add a certain value to it, and this will end up being your plated-thru-hole diameter. For Density A, this extra margin is 0.25mm. 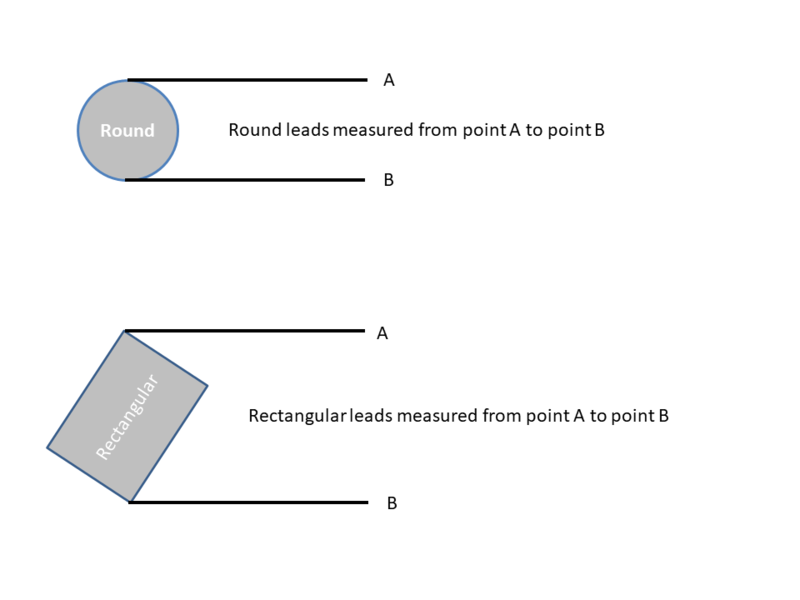 So if your lead diameter was 0.5mm then your plated-thru-hole would be 0.75mm diameter. IPC suggests that you can take the hole size, add the minimum annular ring size, and then add some extra margin to determine your pad size. A typical minimum annular ring is usually 0.05mm. So if you take that 0.05mm, add to it 0.3mm, double that number, and then add it to the hole size, you’ll come up with your pad diameter. We hope you found this information helpful. As always, if you have any questions, please don’t hesitate to reach out. Chinese New Year will affect the delivery of your assemblies. Unexpected delays will occur. If you have not already placed your order for assemblies, then it’s almost guaranteed that your delivery will be impacted by CNY. If you really need your assemblies before CNY then you can pay to have your order expedited but that’s still no guarantee that your order won’t be impacted by CNY. The earlier you place your order though, the better the chance of getting your assemblies on time. We usually do not see things get back to normal with deliveries until nearly 1 month after the end of CNY. 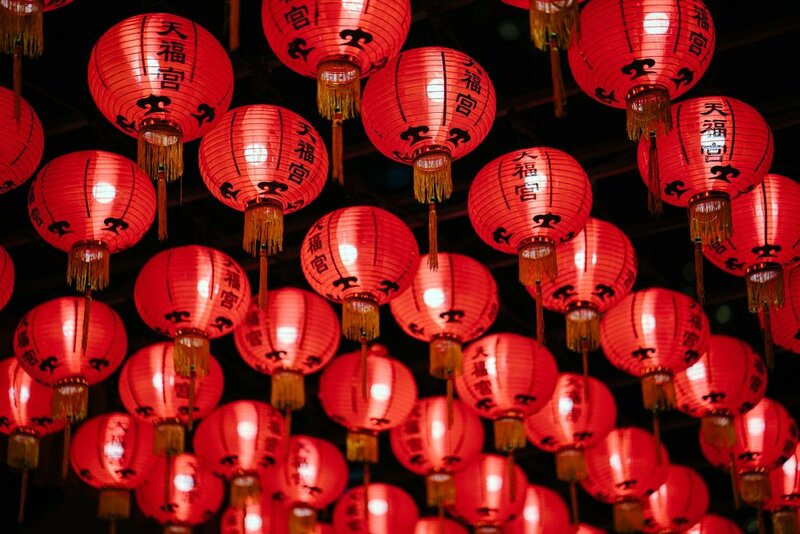 China’s Spring Festival, often referred to as Chinese New Year, is an annual event usually held somewhere around the end of January to mid-February. While it’s probably a time of enjoyment and celebration for the people of China, it’s usually a time of great stress and frustration for the manufacturers that rely on China’s great manufacturing supply chain. As a manufacturer based in the United States you might think we are insulated from this holiday. However, the truth is that no matter where your product is made, China is likely somehow involved in the supply chain that ends up being a part of your final product. But even if they somehow aren’t (they most likely are) their shutdown will still have an impact on the delivery of your product. The world only has just so much capacity to manufacture things. China has the largest portion of that capacity. So when they shut down just about their entire manufacturing operation, this is going to have some impact on the rest of the global supply chain. Manufacturers in the United States are going to see their orders increase substantially. But even with working overtime and weekends, they could never dream of compensating for the total loss of production in China. When China stops accepting orders at the beginning of CNY, demand for product, and thus orders for goods, does not slow down. So orders to domestic manufacturers see a large increase. Their peak capacity will be reached very quickly, especially considering every manufacturer in the United States is already running a lean shop at very near peak capacity. So when they see orders increase, lead-times start to get extended. One of the primary goods that we order from China is bare PCB’s. During their shut down, our customers continue to order assemblies. Once our board suppliers get back to work, they are going to have an enormous backlog of orders from being away for 2 weeks. It will take them a long time to work through that backlog. So even though CNY is only a couple weeks, this does not mean that orders placed during CNY will begin shipping right away after the end of CNY. We usually do not see things get back to normal with deliveries until nearly 1 month after the end of CNY. While our friends on the other side of the Earth are getting some well deserved time off to see their family and enjoy their holiday, the rest of us will do our best to keep customers informed about how this holiday will impact their supply chain, and do our best to handle the flood of material that hits us once the material begins to ship to us again. As always, if you have any questions, we’d love to hear from you. You may have noticed over the course of the past few months that common value capacitors (0.1uF, 1.0uF, 2.2uF, 4.7uF etc.) in case sizes ranging from 0402 and up have become exceedingly difficult to locate stock of. You may have been impacted by this in terms of us suggesting or requesting substitutes for parts that may be on your builds due to sourcing issues after an order has been placed. In short, we are in the middle of a global capacitor shortage the likes of which the electronics manufacturing industry has not experienced since 2008…and this time the market for these parts is even worse. There are multiple causes behind the current situation, but the two biggest contributors are supply and demand. On the supply end, manufacturers have been building capacitors under constant cost-down pressure for some time. So much so that in a recent whitepaper, TTI noted that although production of MLCC’s has doubled since the “Great Recession” the market value has remained the same. There is no more profit left in production of these parts for manufacturers, they have no plans to increase their production capacity, and in some cases are pulling out of manufacturing these common value commodity capacitors all together and shifting towards higher voltage parts that have more demand in markets that offer higher profitability. Manufacturers have ended the special volume pricing that they once offered to large scale vendors, and reels of parts that may have sold a year and half ago for $10 now have a market value in excess of $800 in some cases. While the above conditions have unfolded on the supply end, the demand for these parts has sky rocketed. Consumer products, especially affordable electronically loaded automobiles have driven demand as entry-level vehicles incorporate more and more on-board sensors (lane assist, vision, touch screens etc.) and affordable IoT devices being manufactured by large companies gobble up stock of these parts at an alarming rate. 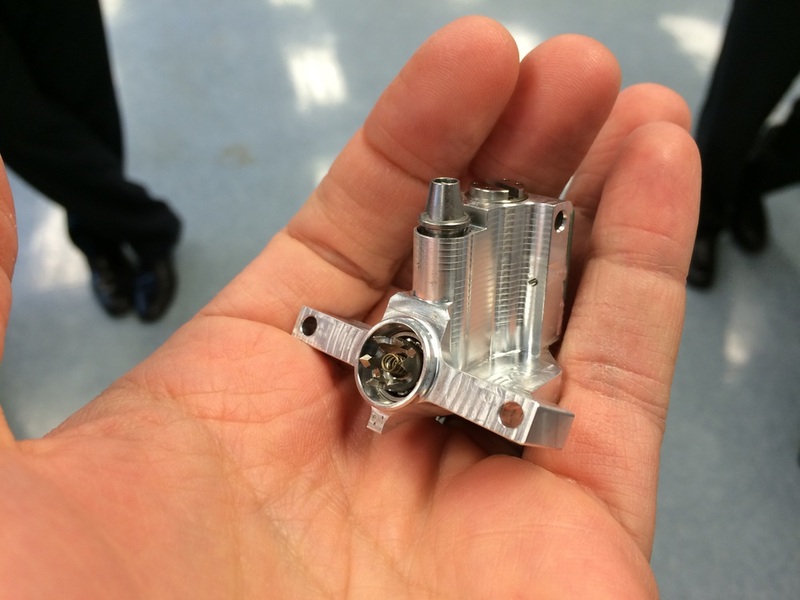 This has forced vendors to go into allocation where they limit sales of these types of parts to any single customer and prices continue to sky rocket. A while back 0402's were a huge pain in the neck. The primary issue with them was honestly footprint design. Pick and place was more than accurate enough but we still kept running into design issues. Because we saw such an enormous variety of 0402 footprints here, we decided to write an article called "The Perfect 0402 Footprint". It was very well received and ever since we published it, we've seen very few poorly designed 0402 footprints anymore. Fast forward a few years and the 0201 is the new 0402. We keep seeing a number of head-in-pillow and tombstone defects with these. These images are of an 0402 but the defects are effectively the same. This is what a "Tombstone" defect looks like. It might be hard to notice at first, but the pad on the left has the 0201 capacitor standing straight up in the air. So, just as we did with the Perfect 0402 Footprint, we're recommending what we consider to be the Perfect 0201 Footprint and are encouraging all of our customers to use it in their designs. The critical aspect of this design is the gap that remains between the two closest edges of the pads. This gap should be no more than 0.3mm. This is what helps to make sure that the terminals of the chip are definitely making contact with each pad. If the gap between the pads was any larger, even by just 0.1mm, then we begin to run into serious head-in-pillow and tombstoning issues. We put together an EAGLE library for this part which you can download here. This page will be linked in our Best Practices page for future reference. We get it, BOM's are boring. Nobody's changing the world with a BOM. But BOMs really are the life blood of almost any product. A considerable amount of effort put into a BOM will save you countless hours and money when coordinating with manufacturing, and even to determine whether or not you can make any money with your product. As the founder of Dragon Innovation, Scott Miller, likes to say "Early decisions cast long shadows." Recently we got to spend some time with the folks at Dragon Innovation and they gave us a great demonstration of their Product Planner software. I really liked what I saw and wanted to take some time to point out why I think software like this is important, and how it can be valuable to you when you begin working with a manufacturer. You get started with Product Planner but uploading your BOM. It's a typical interface you've seen before for uploading anything to the web. Drag-and-drop your CSV to get started. Once you have uploaded your BOM, Dragon takes it from there and crunches some numbers on it. They say this takes a few days to complete. Thankfully, you don't need to wait that long to play with Product Planner. Right away they set you up with a Demo project so that you can get a feel for how the software works. Within the first few moments of using Product Planner, Dragon presents a very nice analogy for what goes into making a product. It's often far more than we think. There are many parts that go into making a product, and the two should not be confused. The computer on the left represents all the work you put into the product. The smiley meal on the right represents the fruits of your labor. Most people would think that the BOM for this product would be a burger, fries, and a box. But it's so much more than that, and their next slide does an excellent job of breaking that down. You see, even just the burger itself has so many different parts that need to be considered. And then within each of those parts are other parts. For instance the meat itself isn't just meat. It has onions and spices in there. The same goes for your PCBA. You can't think of it as just a single part number. There are dozens, sometimes hundreds or even thousands of other components that need to be populated onto the PCB that you need to consider. And of course it doesn't stop there. There's the packages, the accessories, the napkin, the box, etc. There's a lot going on with every single product. If you don't take the time to think about all of these details, you may catch yourself in a position where your project is out of control, you cannot meat your deadlines (see what I did there?) and ultimately you could end up losing money for a long time, or worse still, never make any money at all. Once you've got your data entered, you'll see how rich the software is. There are so many bells and whistles to this thing but yet I never felt overwhelmed by it. The user interface design is very nice. Buttons are either clearly labeled or their icons are so obvious as to what they do that you never feel lost. Each button has a comment box that appears when you hover over the button too, in case you forget what its utility is. You'll likely spend a considerable amount of time in the BOM page. There are 2 different ways you can view your product here, either Indented View or Flat View. These show you all of the various parts of your BOM in a super clean and efficient manner. I really like it. I prefer this indented BOM view. It really helps you to see the overall scope of the product and how each part fits into it. This visual representation of BOM's has always reminded me of those Russian Nested Dolls. You can then drill into each item of the BOM to view and/or edit specific details related to that part. All of the various fields here that can be filled out will really help you to think about the details of your project. For instance, is this the kind of part that can be purchased "off-the-shelf" or will you need it custom made, just for you? Have you thought about your unit costs vs. your fixed costs? Whats the typical lead-time to get this part fabricated? What suppliers are lined up to produce these for you. There's an area where you can insert an image of the part which is quite handy because we humans are a visual bunch. Having an image of the part under consideration is very helpful. They also have a handy area where you can upload various files related to that part. This would be a great place to put things like CAD files, schematics, drawings, etc. Whenever we've done completely fulfillment for customers, we inevitably have to have a conversation with them about how the product is going to be presented. Will there be a box this goes into, or just a bag? Will there be a user manual, stickers, labels? What about cables and other accessories? Product Planner helps you think about all of those things. When you click the Add Part button, you'll be presented with a series of boxes to choose what type of part you want to add. Simply the act of presenting these options to users forces them to think about the details. "New Packaging" part will remind them "Oh yeah. This thing has to be presented to a customer somehow." I know it sounds trivial, but you would be surprised how often major details like this get overlooked. Having to fill out all of these fields will really help you when it comes time to work with a manufacturer. You'll know what questions to ask and what information to present. All your i's will be dotted and all your t's will be crossed and your supplier will be grateful for it. The more thoroughly documented you are, the less questions will come up, and the smoother and faster your parts will come in. But I think by far where most people will find Product Planner beneficial for their company, is the reports area. These reports can give you such incredibly valuable insight into your product that would otherwise be obfuscated by the complexity of the project itself. Take for example one of the most powerful reports, the Break-Even Report. This report is exactly what it sounds like. At what quantity and at what dollar value will you finally start making any money. Your revenue needs to go up faster than your COGS (cost of goods). If it's not, then you've discovered a very useful way of wasting a lot of money. In this report you can select your product SKU, enter your product price, and see the graph change right before your eyes. If you find that your retail price is so low that you'll never make any money, then you can easily change it to see where you can start making money. Of course it's not always that easy to just start charging customers more. So something in your COGS needs to change. For that, they've got plenty of other valuable reports. For example, the High Cost Parts Report is a beautiful presentation of the most expensive parts in your BOM. You can easily see where most of your money is going to and it can help you identify where you might possibly reduce some of your COGS. The way this information is presented is actually quite beautiful. It reminds me a lot of those utilities that help you find files that are occupying the most space on your computer hard drive. The colors used are also quite attractive and has sufficient contrast that you can easily identify the different parts. I also really like the Fixed Cost Breakdown Report. Here you can quickly see the cost of things that won't be repeated per product fulfillment. The visual presentation is similar to that of the COGS but having these NRE's broken out this way is helpful to see whether or not you might be able to bring that break even number down a little bit. It's nice to see that a product like this finally exists. A thoroughly vetted and reviewed bill of materials can be like using a crystal ball to predict the future. Even just presenting questions about important details such as packaging and labeling can really help keep your project moving forward. Your suppliers will be grateful because you will be more prepared. Being prepared can save you time and money. If a supplier can tell that you have not really thought about your project thoroughly enough, then they may be less willing to offer you favorable payment terms or even take your business at all. They need to get paid too, and if they're worried that you don't have a plan, then they might not be willing to take on the risk of working with you. The difference between a successful product and an unsuccessful product often comes down to how well you have planned. As a friend of mine used to say "A goal without a plan is just a dream." Have a goal, put together a plan, execute it, and enjoy the process. Surround yourself with good people, and give them good tools like Product Planner, and then maybe, just maybe, you'll be successful too. Cost Savings - Double-Sided or Single-Sided? A popular topic that customers ask about is how to save money on their assemblies. So we've written a few articles to try to address this topic. Each of the articles begins with the phrase "Cost Savings" and we will provide a link at the bottom of each article that will combine them and display them all together. By far the single largest impact you can have on the cost of your circuit board is making it a double-sided circuit board instead of a single-sided circuit board. Single-sided SMT only designs are the least expensive circuit boards to manufacture. When you have to design a circuit board with SMT components on both sides, you're basically asking us to build two different circuit boards. It requires extra tooling, extra programming, extra handling, etc. Everything is essentially doubled because, hey, it's double-sided. In fact, it's even more complicated than that. Once you have assembled the first side of the circuit board you have to consider all of those components hanging off the bottom side as you assemble the top side. When a board gets clamped into a machine it uses flat bars or pins to support the center of the circuit board while it's being assembled. These support pins are necessary because circuit boards are not always flat. So when a stencil printer needs to do its job, it needs a nice flat surface to work with. The same goes for a pick and place machine. Remember, this machine is placing components as small as 0.001" x 0.0005". In order to do this accurately and repeatably you need conditions to be near perfect. And a circuit board that's even slightly bowed will be a real issue. So when these pins go to make contact with a circuit board that already has components on the bottom side, they can cause serious damage because they're pushing with a lot of pressure. If you want to prevent this damage, you need to be careful about where you place these pins. This takes time and in this business, time is quite literally money. There are vendors who make pneumatically controlled conformal tooling, which WAi does use, but in general it's these tooling pins that get used more often than not. The conformal tooling does not always provide the same level of support that a hard tooling pin can provide. To setup these tooling pins requires a person looking at where the components are, putting the pins where they think they belong, and then using a mirror to make sure that none of the pins are touching components that could be damaged. It's time consuming and a pain in the neck. It's not impossible. It's just annoying. It's just one more thing that can add to the cost of assembling a double sided board. But we're still not out of the woods yet. We've got to worry about reflow. When designing your double-sided circuit board, this is the biggest concern you should have. Will my components fall off of the bottom side when the top side is being reflowed (in case you're not aware, solder has surface tension that holds components in place even when held upside down inside of a reflow oven. This surface tension does have a limit though). Sometimes the surface tension of solder is just not strong enough to hold heavier components. Components like wifi and bluetooth modules, many large inductors, and even some heavier connectors can fall off during reflow. 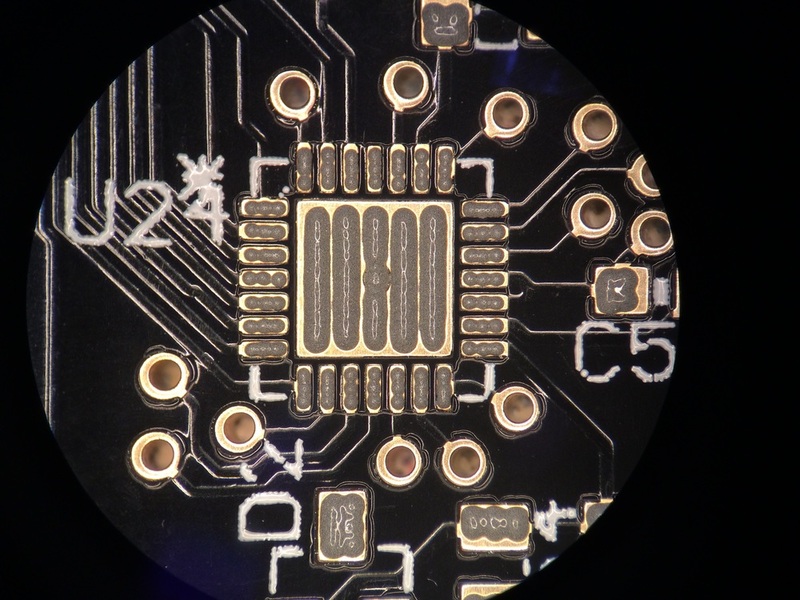 We have a lot of experience with this so we tend to be able to identify parts that might potentially fall off during secondary reflow, and for these cases we will use a thermally cured adhesive, commonly referred to as "Chipbonder". But even chipbonder has its limitations. So whenever possible, try to put your largest and heaviest components on the top of the assembly and your small chip resistors and capacitors on the bottom side. To sum this up here's a quick list of the things that make a double-sided assembly more expensive than a single-sided assembly. So when designing your next circuit board, please consider the extra cost of a double-sided assembly. It can really add significant expense. We totally understand if you must have a double-sided design, we build them very regularly here. But if you can get away with a single-sided design, you may save yourself a bundle. If you have any questions we'd love to hear from you. Please feel free to email me at cdenney@worthingtonassembly.com or give us a call at (413) 397-8260. I'm going to dump some praise on Digikey for a moment. These people rock. In addition to having the fastest site of all part distributors, the cleanest presentation of their database, the most helpful product attribute table in the business, the fastest fulfillment service, and on and on, today they released what I'm calling Reverse Part Attribute Lookup. First, let me explain the problem that they solved. Each day, we are introducing dozens to hundreds of new components to our process. Each of those components needs to be in stock and ready to buy to make sure we can build the order for our customer. But sometimes, our customers specify parts that are either not in stock, have the wrong package size (0603 instead of 0402, etc. ), have the wrong orientation (right angle LED instead of vertical, etc) or some other weird thing that makes it unusable. So very often we need to find an alternate part number that will work for their design. Here's an example. Let's say a customer specified an 10k resistor with a 5% tolerance, and in an 0402 package, like RC0402JR-0710KL. But their design calls for an 0603 footprint. Well the process we formerly went through to find an alternative would be to go to Digikey's Product Index, then choose Chip Resistors, and then click one by one, each filter we were interested in at the top of the page. In this case 10k for Resistance, 5% for tolerance. Then we would check the box for "In Stock" and click Apply Filters. That doesn't sound too bad, until you have to do it over and over, many times each day. Additionally, there are other attributes which may or may not be important. Power Rating, Composition, Temperature Coefficient, etc. It can take time to look back at the original part number specified and scroll through a huge list of options for each attribute. For years (not exaggerating, literally years) I have wanted a tool to tell me what other part numbers exist that match all of the same attributes as the part number I'm currently looking at. Basically a Cross Reference tool. But I'd like the ability to change just one attribute, like the package size (0603 instead of 0402). Well, those beautiful nerds over at Digikey did it. They have given us a dream of a tool. First, pull up a product page. We'll use RC0402JR-0710KL for our example. You'll notice now in their Product Attributes table there are check boxes next to each Attribute. As you click these check boxes, you'll notice their software automatically tell you how many other parts match these attributes. As you keep clicking the number of parts that match will keep falling, based on how many other parts match it, until you finally have a nice clean list that you can easily sort through. Here's a quick demo so you can see it in action. This is so much easier than the old method we used to use. It saves time yes, but it also reduces the risk of recommending the wrong alternate part number. Thank you Digikey for making this. Thank you! Thank you! Thank you! You’ll be malfunctioning within a day, you nearsighted scrap pile. We do a lot of cool things here at Worthington Assembly. Some of them cooler than others. And as every typical American kid raised in the 80's, I've been a huge fan of Star Wars my whole life. So needless to say I was super excited when Paul Murphy of the R2 Builders Club reached out to us to build some assemblies for him. Recently we had a chance to see Paul at Star Wars Night at a Boston Red Sox game. The reaction to his R2D2 unit was incredibly. More than a few kids ran up to give R2D2 a hug. I know I would have if I wasn't worried about Queen Amidala calling security on me. It was exciting to see our work in real life. We assembled the Logic Display control boards for him. In his words "Logic Displays are the blinky lights in the rectangular openings of R2-D2's dome (2 front, 1 rear) that separate dead droids from the living". You can even see the "Assembled in Massachusetts" logo on the PCB. Here's a video I shot showing Paul controlling his R2D2 unit from a distance before the Sox game. You can learn more about his work by visiting is GitHub repository here. If we've built something for you and you would like us to blog about it, let us know. We love learning about what happens to the boards after they leave our factory. We've been meaning to repost this for the longest time but just keep forgetting. Here's a cool video Ben Jordan, of CircuitMaker, put together as he toured our factory last month. Enjoy! Just wanted to let everybody know that we have a new page in our Best Practices section describing the Consigned Material process. Check it out! If you have ever wanted to try to use CircuitHub but weren't uncertain about the whole process, well there's good news. We've produced a short "how-to" video demonstrating CircuitHub. It will walk you through the whole process from importing your files, reconciling your part numbers, consigning material, choosing a board color, thickness, and copper weight, and finally hitting the buy button. We hope this will help new users get more familiar with the process and maybe existing users will learn something that they weren't aware of before. Things just keep getting more and more exciting around here. As many of you know, Worthington Assembly is the manufacturer behind CircuitHub. Well today CircuitHub announced a partnership with CircuitMaker. Rather than be redundant, you can just read more about how it all works over at CircuitHub's blog. CircuitMarker has a nice post about it too. If you're not familiar with CircuitMarker, you should be. CircuitMaker is a free PCB design tool from Altium targeted at hobbyists and makers. CircuitMaker has a more intuitive and easy-to-use interface perfect for those who are just starting to get into PCB design. So go check it out! We put together a new page on our website highlighting some of the successful Kickstarter campaigns we've helped support. Well... sort of. Our President, Neil Scanlon, was invited to meet the US Secretary of Commerce when she visited Greentown Labs, an incubator where many of our customers work. If you look closely at the picture, you can see Neil, looking very pleased to be there, while Secretary Pritzker was given a tour of the facility. It’s interesting to note that as more and more ‘maker’ tools are developed, and the barrier of entry to developing hardware projects gets lower, the level of risk project creators take on is not necessarily following the same trend. Over the past several months, WAi has been working with a smart group of MBA students from the Isenberg School of Management. It has been an enlightening and eye opening experience. We learned a lot and having them dig in and ask some tough questions got us to think about how we do things and helped us refine our process a bit. Their final presentation was today and we thought they did a great job so we wanted to share! Working With A Manufacturer - What Are Fiducials and Why Are They Useful? We get this question all of the time. Many designers have no idea why they would put some random piece of copper on their board when it serves them absolutely no purpose. In other words, fiducials help machines recognize where an object is in its space. For PCB assembly this means that our stencil printing machine, pick and place machine, and AOI machine can recognize where the PCB is when it goes to perform its task. We encourage customers to use 3 fiducials. If you can't fit 3 fiducials then 2 fiducials will generally suffice. But 3 fiducials is the best. Each one serves a purpose. 1st - The first fiducials helps the machine recognize where the PCB is in its space in the X and Y dimensions. 2nd - The second fiducial helps the machine recognize what orientation the PCB is in and also how skewed the PCB is in the clamps. If the PCB is rotated even 1/10th of a degree this could completely ruin the assembly if it weren't for fiducials. The machine is able to measure the angle that the board is rotated in the machine down to the nearest 1/100th of a degree and compensate all of the placements accordingly. 3rd - Finally, the third fiducials helps the machine compensate for any shrink or stretch of the PCB. Yes, believe it or not PCB's do vary by very small amounts over a long enough distance. 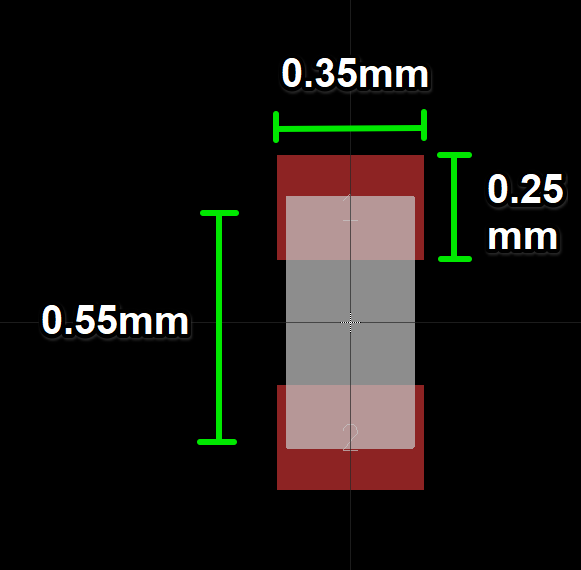 This is very important for larger PCB's because they experience a much greater amount of stretch and/or shrink. This is especially true for double-sided SMT assemblies. After the first side is reflowed in the oven the board may have stretched, shrunk, bowed, flexed, whatever you want to call it. Having the third fiducials can help compensate for this effect. The next question people ask is, well why stop at 3? Why not have a 4th? Well, imagine this scenario. Your PCB is placed inside the machine rotated 180 degrees. What happens when the machine goes to inspect the 3 fiducials? It will find your 4th fiducial and start populating the entire PCB thinking that it understands it orientation correctly. This has happened to us, more than once, by well meaning designers. So, for the sake of sanity and my ever growing collection of gray hairs, please only put 3 fiducials on the PCB. Fiducials are necessary whenever SMT components are going to be placed onto a circuit board. This includes double-sided SMT assemblies. So make sure to put fiducials on both sides of the PCB because cameras can't see through circuit boards. It needs those fiducials on both sides. So when you are designing your next PCB or revising and existing PCB, please consider adding fiducials to your design. Many designers have found that using a 1mm round fiducial with a 2mm masking area around it works best. This masking area eliminates any glare that might reflect into the camera from the glossy finish of the masking. The best placement of these fiducials would be at the corners of your PCB. Not all the way up to the edge. This could cause the clamps of the machines to cover the fiducials. Try keeping them about 5mm from the edge or so. You can probably squeeze them in as tightly as 3mm but that's cutting it close. 5mm leaves plenty of breathing room. 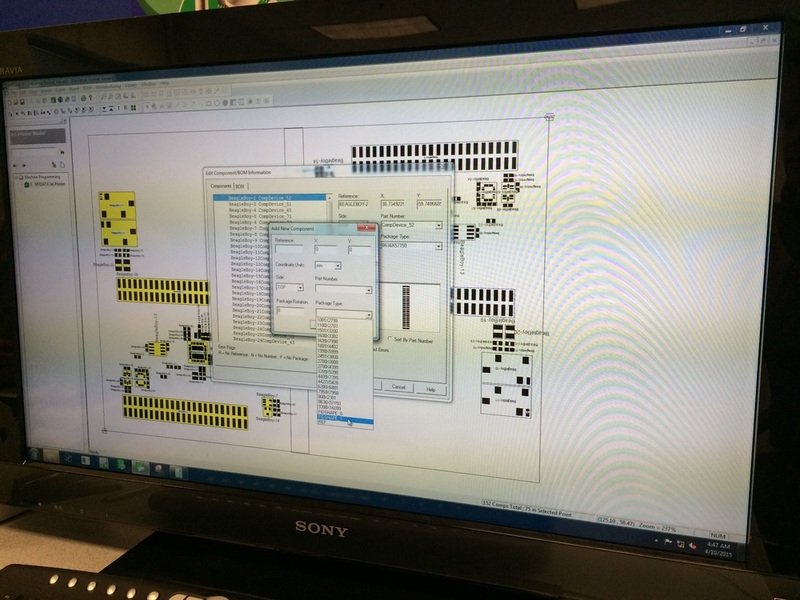 We have put together a nice document about automated PCB handling. You can download it by clicking here. Also check out our best practices page if you haven't already done so for other helpful information. As always, if you have any questions, please do not hesitate to reach out to us. We'd love to hear from you. You can email me at cdenney@worthingtonassembly.com or give us a call at (413) 397-8260. Working With A Manufacturer - What's a BOM? So you've got a great idea and you want to bring it to market, but you don't know the first thing about hiring a manufacturer and working with them to get your product assembled? We are here to help. This is the first in a series of articles that we'll be writing that will help people learn how to work with us to get their product assembled. So, what's a BOM? Well, you probably already know what a BOM is (Bill of Materials) but what are we specifically looking for from a BOM. There are 3 vital pieces of information. Oscillators (Crystals) "Y" or "X"
2. Manufacturer's Part Number - we'll need to know what part to put in the location you've specified. And what we are looking for is a specific manufacture's part number. Saying "100k ohm resistor" isn't quite enough information. Think for a second how many pieces of information need to be specified for just a resistor. Value, tolerance, size, wattage, composition, temperature coefficienct, and operating temperature. And that's just for resistors! It's just too much information than we'd like to decide for you. But an excellent resource is the Common Parts Library which WAi helped assemble in partnership with Octopart. We regularly keep these parts in stock and find them to be readily available and inexpensive compared to their alternatives. 3. Quantity - this is helpful for purchasing purposes. If you used a 1K resistor in 90 different locations, we'd rather not count those locations one by one to determine how many of that part number to buy. The quantity column will also help us double check our work. If we program our equipment and it tells us that there are 89 locations and you have a quantity of 90 specified, that will send up a red flag that there might be an issue. There's plenty more information that some of our customers put in their BOM that are useful but inessential. 4. Line Items - this is handy for communicating back and forth. If we mention "There's a typo on line item 16" you'll know exactly where to look at your BOM for the issue. 5. Descriptions - Descriptions are really helpful. Internally, we use Digikey's descriptions as much as possible because it's formatted nicely and has all of the pertinent information. We can also use the description to make sure that your manufacturer's part number is correct. If your description says that it should be a 4.7k resistor and when we look up the manufacturer's part number and find that it's a 47k resistor, we can check with you to make sure you've chosen the correct part number. You'd be surprised how many mistakes we catch with this technique. 6. Datasheets - it's pretty useful to have a hyperlink to datasheets for components. Sometimes manufacturer's don't publicly release their datasheets (I'm looking at you Broadcom!) So if you provide us a link to datasheets it helps us speed up the process of programming your board. But don't stress about it. It's not necessary. 7. Hardware Details - providing a nice full description of a piece of off the shelf hardware is great. If you give us a part number from McMaster-Carr for a hex nut, that's great. But a good full description of the nut is even more valuable. Is it stainless steel, or galvanized? Is it 3/16", how many turns per inch, etc. When we have a nice full description we can confidently buy these parts from an alternative manufacturer. I love McMaster-Carr (seriously. I love McMaster-Carr) but they're expensive. And we can find hardware for far less money from other suppliers. When you're done, here's what a BOM will more or less look like. They're generally formatted in a table that can be parsed by Excel or another spreadsheet program. CSV files and tab separated files work great too. We'd honestly prefer them over a proprietary format like Excel or OpenOffice. BOM's are vital. Will live and die by our customer's BOM. If you have any questions we'd love to hear from you. You can email me at cdenney@worthingtonassembly.com or give us a call at (413) 397-8260. When Tim Cook announced the pricing for the Apple Watch Edition he didn't say $9,999. He said $10,000. Because when you get to this kind of price point, you specify your price in "thousands of dollars" not just "dollars". The My600 is an absolutely breathtaking piece of engineering. The people who designed this thing (in Sweden) deserve to have their names written in the engineering hall of fame (if such an institution exists). I didn't fully appreciate this until I watched this machine in action. Just look at this thing run. This is the real speed of the machine. I absolutely swear it is not sped up. It is printing up to 600 dots every second. It does this on the fly. Meaning that it does not stop moving to deposit a dot. It automatically calculate the trajectory of the dot based on the vertical speed of the dot and the horizontal speed of the head. Think of a plane dropping a bomb on a target. The plane needs to drop the bomb sometimes miles before it sees the target, depending on the speed and elevation of the plane. This is how it goes so fast. It doesn't need to stop movement in order to deposit solder. Think of how many calculations this thing needs to make every second in order to actually land this dot exactly where it belongs, with incredible accuracy. Here's a picture of a 0.5mm pitch QFN. I took this picture through one optic of a microscope. Look at the video again. This entire component is probably less than 200 dots so the My600 can print this entire footprint in a fraction of a second. You can see how the individual dots create a line for the individual leads of the QFN. There are three dots that make up each line. The accuracy here is so impressive considering the speed of this machine. You can add more paste to that center ground pad. If you look closely you can see that there's a via in the center of the pad that would pull solder paste down into it. If the via pulled too much solder paste, you could just add extra. You can't do anything like this with a stencil. The stencil is just one thickness so you have to hope the engineer designed things with that in mind and didn't make the via too large. It all starts with a 4,000 lb granite composite frame. That's right. This whole machine is made from a rock. Not steel. The machine needs this ultra heavy, rigid frame for stability. At Mycronic they have this machine sitting on a poured concrete floor. While the machine was running, you could feel the vibration in your feet. I can only imagine what this machine would do to a steel frame. To the granite frame they add this cantilevered beam. It just floats in the air, affixed to only one side of the machine. Unlike 99% of all circuit board production equipment in this world that use a gantry mounted head (affixed to two sides of the machine), Mycronic chose to mount their head on this ultra light weight carbon fiber cantilevered support beam. Ultra light carbon fiber cantilever beam. Notice it's affixed to only one side. I'm told that this carbon fiber beam is the second most expensive item on the whole machine. Only the granite frame is more expansive. And it shows. Just think of how straight this thing needs to be. Any sort of flex or bow would completely throw off the accuracy of the machine. Imagine if you have the dispense head at the far end of the beam and you whip the head in the Y direction at 3G's. What do you think that would do to the beam? It would want to bow like a golf club. And yet it doesn't. The My600 maintains a 33 micron (a micron is a millionth of a meter) accuracy at 1.33 Cpk. Notice those huge copper cables on the side and floating above the beam? This is how power gets transferred to the dispense head and its various controls. Most machines would just use a simple ribbon cable to transfer power. But with this machine, because the head is experiencing up to 3G's of force, a typical ribbon cable simply would not hold up. So Mycronic designed these special cables to transfer power to the head while withstanding these ridiculous forces. Take a look at the video again and notice how much that cable is bouncing. That's deliberate. If it was too rigid, it could fail early. Designing it to be flexible gives it greater longevity. Linear motors drive this beast. See those rounded rectangular blocks? Those are the magnets that are used to help propel the beam. You'll also notice smaller rounded rectangular blocks on the beam itself. Those are the magnets used to help propel the head. They work on the same principal as some roller coasters you may have been on before. In order to cool all of this, the previous generation machine (the My500) used an offline chiller with a hose plumbed into the machine to keep the head cool. But the engineers at Mycronic came up with a way simpler solution. It's called a "vortex tube". Compressed air goes in, hot air escapes through an exhaust on one end, and cold air is directed to its destination out the other end. Absolutely amazing. Finally, there's the actual dispense head, which gets mounted to this carbon fiber beam and is driven by the linear motors. 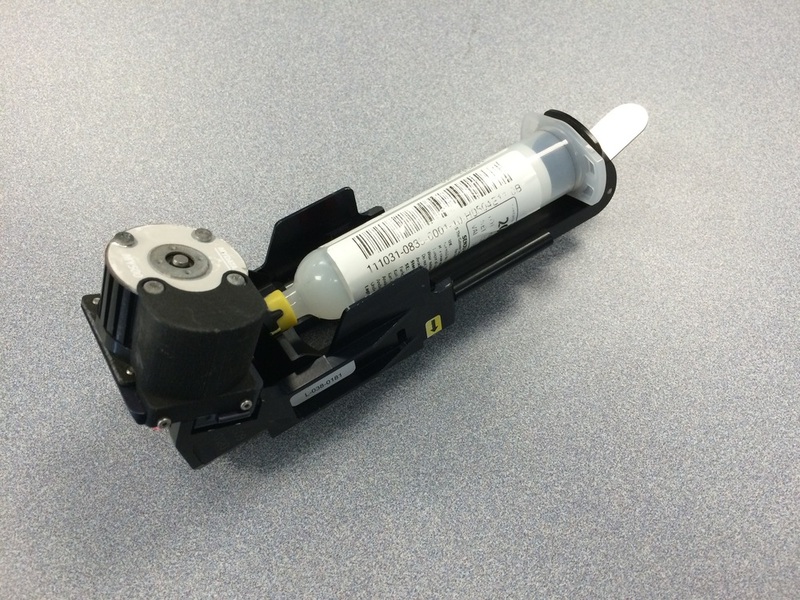 Dispense head holding a tube of solder paste. This I'm told was the most complicated engineering challenge the team faced. It seems simple, but as with most things that seem simple I'm sure it's incredibly complicated. Basically, pneumatic pressure pushes a plunger down, keeping the pump full of solder. The pump then controls a very precise amount of pressure to feed the piezo which actually releases the solder paste. The piezo is capable of 600Hz but averages out to about 300Hz. That's the buzzing sound you hear in the video. Port where the actual solder paste is released. To put the above image into perspective, that hole is about 0.33mm in diameter. By comparison, an 0201 capacitor is a 0.6mm x 0.3mm rectangle. Opposite side of the port, showing the shaft of the pump. The ultimate goal for all of this is to be able to deposit solder very precisely, but only where you want it. How do you define where you want it? Software. The programming of this machine is ridiculously easy and fast. You import one file, specify which locations are SMT, and then the software does the rest. I programmed one side of the BeagleBoy myself in less than 5 minutes, with almost no training whatsoever. It was so easy and simple, that that's really all I have to say about the user interfacing software. I'm sure Mycronic spent a ridiculous amount of time on the backend software that controls everything. But for the user, there's really not much they need to do. There are things you can do with a jet printer that simply are not possible with a stencil. One of the challenges of using stencils is that you can only deposit one volume of paste across the whole assembly (there are stepped stencils but I won't get into them here). Your paste is only as thick as the stencil you've used. So your QFN's and 0402's have just the right amount of solder paste, but your 1206's and large inductors are starved for solder paste. Not an issue with a jet printer. For instance if you have a part that should have a greater volume of paste, you can program the machine to add extra paste at that location. And best of all, it will remember that type of part so that the next time it sees a part like that again, it will use the same profile as before. One of the biggest issues we have here is mixing complicated USB or SD card connectors on the same board with a very fine pitch QFN. You have to optimize your stencil around the QFN otherwise you'll have terrible yields. So oftentimes with USB connectors we have to manually add a dot of paste using a dispenser that's held by hand. The volume of paste that gets applied by this method is extremely variable, not to mention very time consuming. With a jet printer you can tell the machine to just make the paste a little thicker in one location and your issues are gone. Then there are things that a jet printer can do that is not just difficult with a stencil, it's simply impossible. Like a 3D cavity in the board. Something like this would never have even been tried before jet printing. You'd have to add the paste by hand. A stencil could not simply reach in and apply paste here. How about PoP (Package-on-Package or Part-on-Part) components. Today when we get an order for assemblies with PoP components, we need to create the PoP component ahead of time using a special carrier. But with a jet printer, you just place the part, run it through the printer again, and then build your whole assembly. Or how about when you build a board but then only realize afterward that you stencil was clogged and didn't get any paste on a few pads. Now you have all of the components already populated all around the board. You can't put it back in a stencil printer. Your only choice would be to add paste by hand. Not an issue with a jet printer. Pin-in-paste has been a thing for many many years. But in order to do it right, you really needed to design your product to make it work. Typically, only OEM's could do this because the designer and the manufacturer were either the same person or at least working in the same office. But we don't have that luxury. So when we get surface mount components with thru-hole pins (like USB ports and HDMI connectors) we have to add the solder by hand after they've gone through the SMT process. You can cut apertures in your stencil for those pins but it's never quite enough solder paste. With a jet printer you can just keep adding more and more paste to that area until you find the correct ratio that results in a perfect solder joint. One of the other great challenges we have with our stencil printer today is that we can only run one job at a time. If we have a high volume job setup, we can't really slide in a single-piece order without wasting a lot of time. The stencil needs to be removed, the blades either need to be cleaned or swapped, the conveyor adjusted, support pins moved, etc. There's a lot involved in changing over a stencil printer. If you're exceptionally fast at it, you can probably do it in about 10 minutes if everything goes well. But with a jet printer, you simply load a different program, the conveyor adjusts automatically, and you print the other board. So not only can you fit that single-piece board into the process, but you can even be running two jobs at the same time and just switch back and forth between them seamlessly. Which reminds me of another awesome feature. There's no need for support pins on this machine. The very first thing the machine does is map out the height of the PCB. If there is any bow or twisting of the PCB it's compensated for by this process. Take a look at the beginning of this video. You'll first see the board transferred into the machine on the conveyor, then a camera will locate the fiducials and then you will see a red laser shining on the board. This is the measurement process. The machine does this mapping process the first time it runs a PCB. This is a thorough mapping process. Every PCB after this (of the same batch) it will perform a much shorter mapping process before printing. This helps keep the machine very precise, but also eliminate the need for support pins which are extremely important in a stencil printing process. When a squeegee blade presses down on the stencil, if the board underneath it is not well supported you will get a large gap and it will result in a terrible print. With this height mapping process it can compensate for a significant amount of warpage. 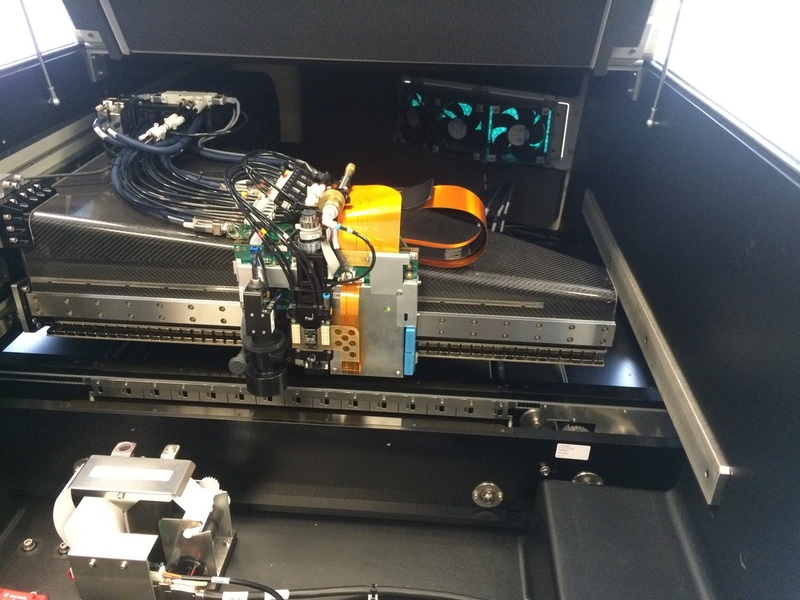 Speaking of warpage, a jet printer can also compensate for any shrink or stretch of a PCB, the same way a pick and place machine can compensate for shrink and stretch. When a machine locates a PCB it uses 3 fiducials. 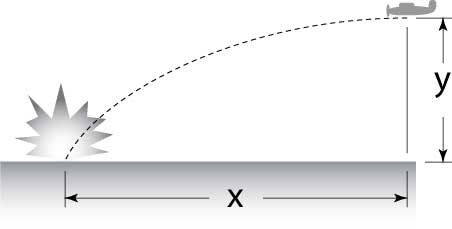 The 1st fiducial locates the board in the X and Y dimension. The 2nd fiducial tells the machine how much the PCB is rotated. The 3rd fiducial tells the machine how much the board is stretched or shrunk from the board house. With a stencil this is simply impossible. You just line up the PCB as close as you can and hope for the best. You're not going to stretch your stencil at all. This is normally not an issue, but if you were to run a very large board with very fine pitch components, it could become a real issue. A jet printer could simply compensate for this with math and be done with it. You also save a ton of solder paste with this machine. A typical stencil printing operation, with a lot of changeover, results in well over 50% solder paste being wasted to the cleaning process. But with a jet printer, all the paste that's wasted is during purge and calibration. There is no cleaning process. No blades to wipe solder paste off of. No stencil to keep clean. Some My600 customers are reporting 98.5% utilization. Last year we spent $4545.80 on solder paste. And we likely through away over $2,000 worth of it. That's not nothing. There is no question that this technology is the way of the future. But remember the opening paragraph? All these benefits don't come cheap. Mycronic knows what they have here and they know it's great. Time to put my negotiator hat on.